Sometimes old stories are the best, and Nine Queens has one of the oldest there is: the con is on, and experienced professional Marco teams up with young gun Sebastian to pull off the biggest con of either of their careers. The title refers to a set of rare antique stamps – the pair come across a forgery so good that they can’t resist trying to sell it, but the con is high-risk and the film’s many twists and turns leave the viewer wondering how it’s all going to end. As Marco says, “there are no saints”. The two leads are instantly believable as the all-or-nothing con-artists, spiralling into higher and higher stakes. 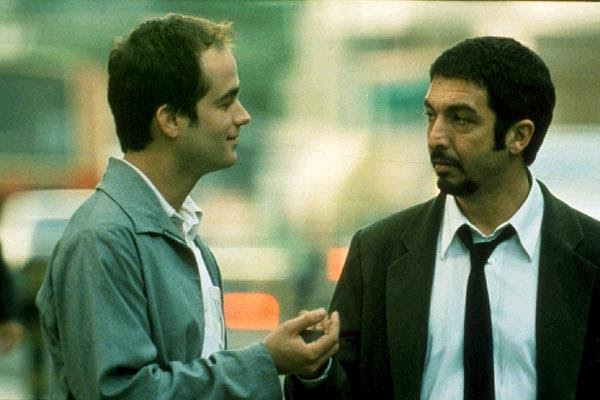 There are no flashy sleights-of-hand here: the film’s suspense is built on dialogue and close camera shots which leave the viewer in every doubt about whether to trust Marco, a man who admits he can’t work alone but whose habit of double-crossing partners has become a way of life. Marco, played brilliantly by Ricardo Darin, is a character with whom the viewer sympathises one moment and turns against the next. He is a confidence-artist in the most literal sense, assured of his skill and aware of his impact on the impressionable Juan. Gaston Pauls portrays the eager novice with high skill, imbuing him with an air of believability and vulnerability. He could be the boy next door, the reliable guy at the office, your best friend growing up. His trusting nature makes him the ideal partner for Marco – someone who draws in targets with his seemingly good nature and shy smile. It’s a film which both deserves and demands to be seen more than once. It’s worthy of every accolade it has received in its native Argentina and beyond: the basic plot may be simple, but the story of Nine Queens will stay with you.